Underwater Connection offers multiple trips to Cozumel each year. Perfect for the diver or non diver. family friendly vacation. UWC put together a shorter trip to Cozumel so you can get certified on your next scuba diving class with best available conditions: crystal clear waters, warm temperatures and unbelievable underwater life! That’s right! Our May Cozumel trip, plus your complete Open Water Course with student materials included for only $999. Call us to sign up: 719-599-3483. Limited spots available. 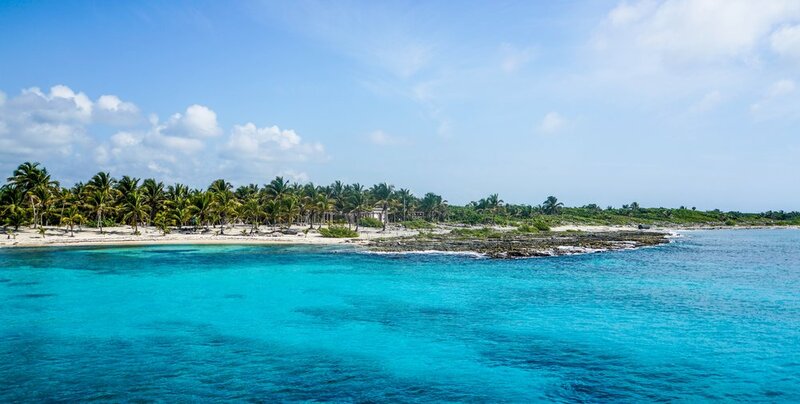 Whether you're an experienced diver or simply interested in getting your feet wet, Cozumel is a family-friendly option that pleases both landlubbers and dive enthusiasts alike. You will be staying at Hotel Casa del Mar, surrounded by a beautiful and exotic garden area with a Mexican town feeling. UWC put together a shorter trip to Cozumel so you can get certified on your next scuba diving class with best available conditions: crystal clear waters, warm temperatures and unbelievable underwater life! Whether you are looking to get certified or want to take your next step into diving, this is the best time to do it! *Final Payment amount is dependent on which rooming arrangement you signed up for. No Refunds after June 1st. If you must cancel, all attempts will be made to refund as much of your deposit as possible. If you do not sign up with a roommate, UWC will try to find you one; if we cannot find one, the single person will need to pay the Single Supplement price. Changes to package and cancellation penalties do exist. CONTACT US today to reserve your spot, get a travel insurance quote or find out more information!